I purchased some organic biscuits at an irresistible price. I normally never buy them but couldn't resist. I figured I could integrate them into my repertoire to create a new dish. I hopped around, slightly followed a recipe while simultaneously creating my own concoction. The cinnamon pull apart muffins were a success & my boyfriend gobbled them up in record time. Valentine's Day comes & goes as does everything in life. 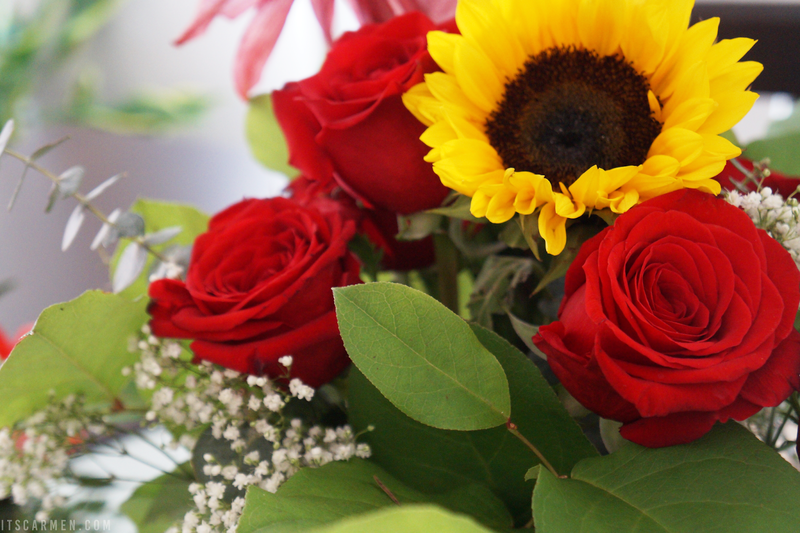 I was pleasantly surprised when my boyfriend got me a beautiful bouquet of flowers. We're not very big on holidays so it was just a nice little token of love. I sincerely appreciated it & always love fresh flowers. Thanks babe! 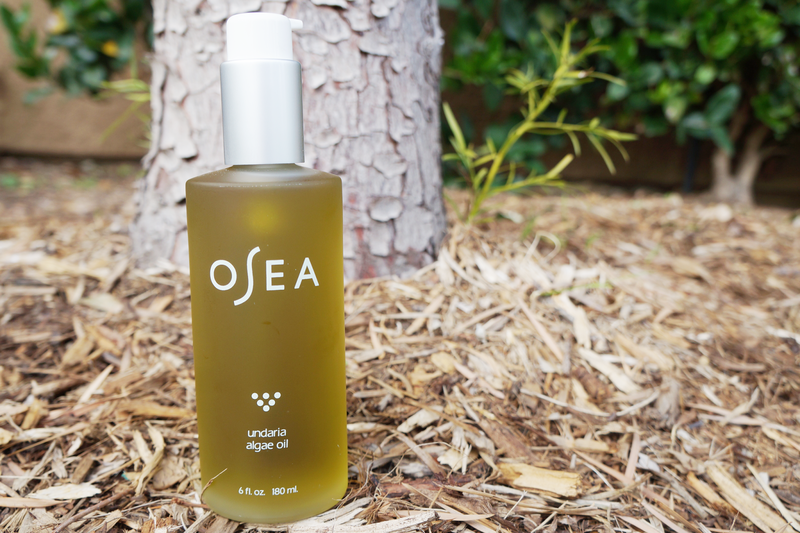 I briefly spoke about the Undaria Algae Oil from OSEA in my Valentine's Day Gift Guide for Her & I'm still digging it. This oil is so rich & luxurious. I feel like a queen when I slather it on after a shower. It smells divine & works miraculously, especially if you're having issues with dry skin. I spend most of my days in Carlsbad & I have no regrets about this. It is genuinely one of my favorite cities in the world because it has everything Southern California & San Diego has to offer without the unnecessary crowds. 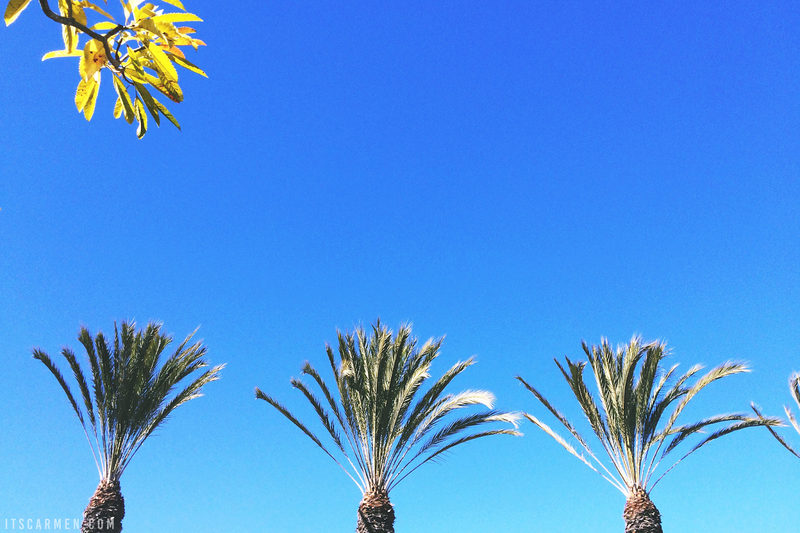 Blue skies, the Pacific ocean nearby, warm weather, delicious food, fantastic shops, & good vibes. Paradise found. My Nana passed away about two years ago. Not only did I inherit her car but also a good deal of her clothes & accessories. 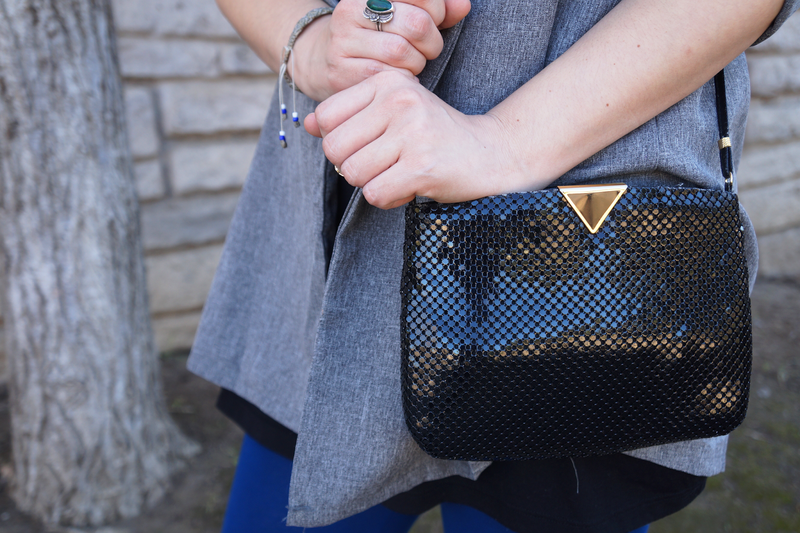 This shiny purse is just one of the many items from my grandmother's collection. I love its sleek, Art Deco look. It seems retro but also could be modern. Ahhh, I wish I could go to Coachella! 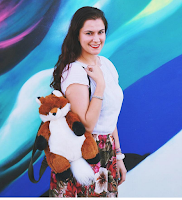 I can't wait to see your posts on the festival! I absolutely love hand-me-downs -- especially if they're from family members who are/were stylish back in the day. Soo jealous that you're going to coachella!! Those cinnamon muffins look amazing, I need to find some similar! I'm loving house plants at the moment! I can't wait to hear more about your experience at Coachella... after April rolls around lol! COACHELLA <3333 Have fun there. I have been wishing to go there for a long time now. Hope to make it to the festival someday. Wink. These muffin look SO tasty. Too good to be real. No wonder they were a success. Ahhh, those muffins look delicious! These are all absolutely fantastic things to be in love with right now! That bag from your nana is just wonderful! You Nana had some amazing taste in fashion if this purse was hers. If I was to inherit any fashion items from my grandmothers I could never wear them. Also those muffins look amazing. My mouth is watering just from looking at them. yum! Those pull apart muffins are looking delicious! The muffins in the first picture look amazing! I haven't spent too much time in Carlsbad, but it sounds like a great destination. Oh my gosh, the cinnamon pull-apart muffins look utterly delicious - I could eat all of those right now!! Well now I'm going to have to clear the calendar and find a way to get to Carlsbad. I haven't been there in 6 years! Cinnamon muffins and that hand me down purse! Love!! Love this post! Interesting to read! Keep it up! The cinnamon muffins look amazing! And I love the purse from your Nana. That is so sweet that she left you those things. I love items that have such memories attached. 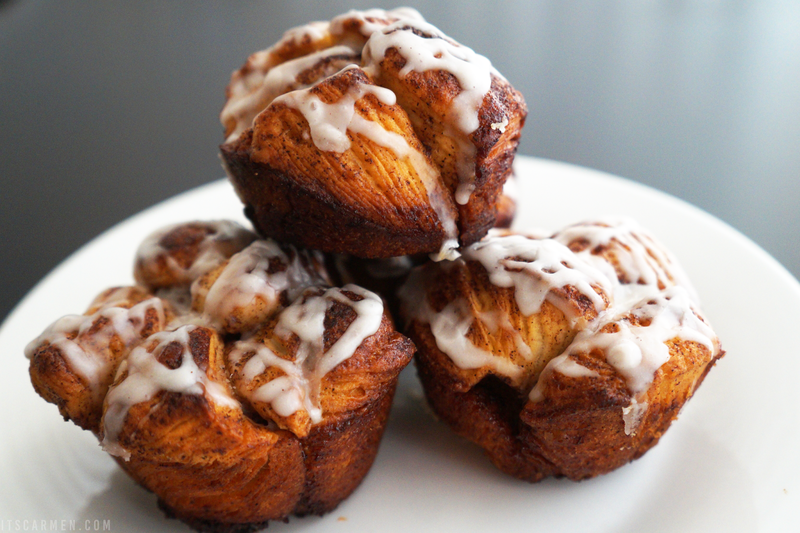 Those cinnamon pull apart muffins!!! Recipe please! I'm obsessed with facial oils right now, I've never tried algae oil before though! I love hand me downs - there's always some beautiful things that crop up :) and that cinnamon pull apart muffin looks divine! My Grandmother had a similar bag in a pearl color that I wear at "fancy" events like weddings! Love it!